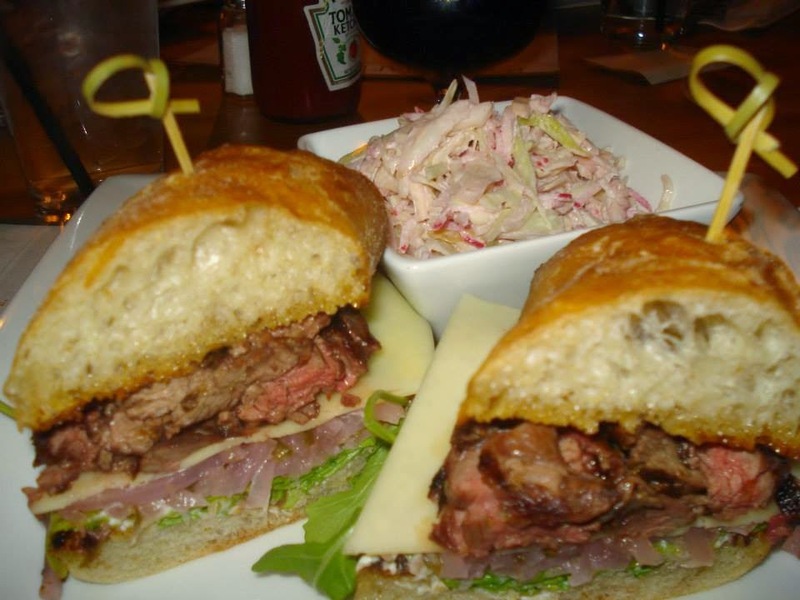 You can tell just by looking at that steak sandwich that it was made with high quality ingredients. Delicious tender steak, pickled onions, lettuce, cheese and fresh crispy bread. One of the ways I judge a steak sandwich is based on how much it drips all over your plate when you try to eat the thing. Granted, this test is not a test of flavor or quality, but rather a test of how much care the restaurant takes in presenting and preparing their food. This sandwich didn't leave the quintessential puddle of gross I commonly associate with steak sandwiches. Great job Urban Tap! The coleslaw on the other hand was pretty bland. It was seriously lacking in flavor and I'd guess it was probably prepared several days in advance. (No one is perfect, right?) I think it could have greatly benefited from a little seasoning and perhaps even some jalapeno. It looks nice though. The Urban Tap is one of many fancy looking establishments that have opened in the last few years in the Southside of Pittsburgh. The decor is very similar to that of Local right down the street. The beer list is extensive, the employees are attractive and the place looks really great. What surprised me about the Urban Tap was the type of food selections they offered and the associated price tags. When I walk into a bar in the Southside I don't typically expect to be offered the option to purchase a $35 filet. If I was speculating in a vacuum I'd say that Urban Tap might have priced themselves out of the neighborhood. However, the place always seems to draw a strong crowd. Every time I walk by there are people dining - so I guess they might know their demographic better than I do. The residents of Pittsburgh are starting to expect more from their food. I'd say that if the Urban Tap opened on Carson Street about five years ago they'd be laughed out of town. In this modern era of Pittsburgh dining, maybe it is possible to charge $35 dollars for a filet at a beer bar in a neighborhood that is notorious for public urination citations, crying bridesmaids and dudes named Shawn who all have the same haircut and don't wear winter jackets in January. I actually think it is pretty great! Just expensive.